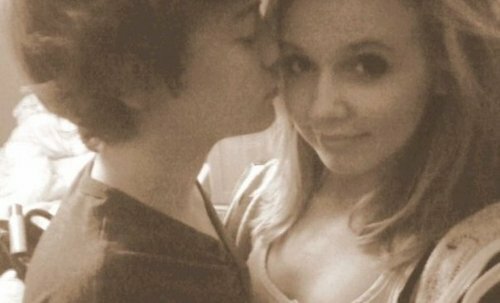 Flirty Harry Kissing His Ex Girlfriend Felicity Selfie. . Wallpaper and background images in the Harry Styles club tagged: harry styles. they did look nice 2gether, but i have 2 admit, the first time i saw this pic, i was feelin a tiny bit of jealousy inside me! but they r broken up now so im fine! ha ha ha! but in fairness they do look like they really liked each other! this kind of makes me angry! though shes quite pretty. do i have to die my hair blonde now? i thought he liked girls wiv short hair? maybe thats why they broke up?? how did you get these pictures? jealousy and hate.. the only way u can talk? seriously, be happy if they found someone.. not go prestering there girlfriends of..